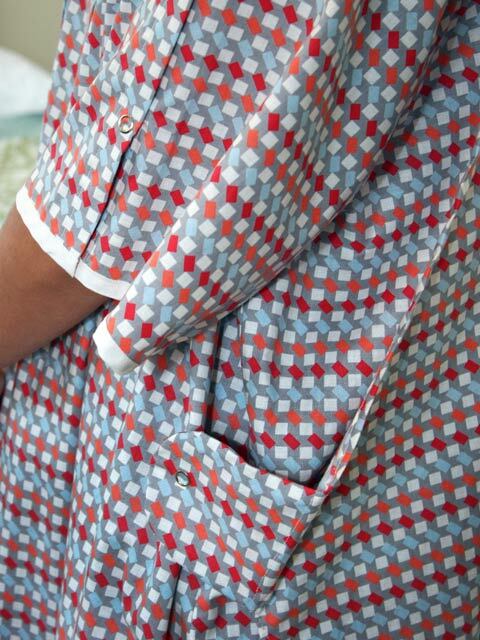 The Hope Collection - MaryJane© Luxury Robes, Inc. 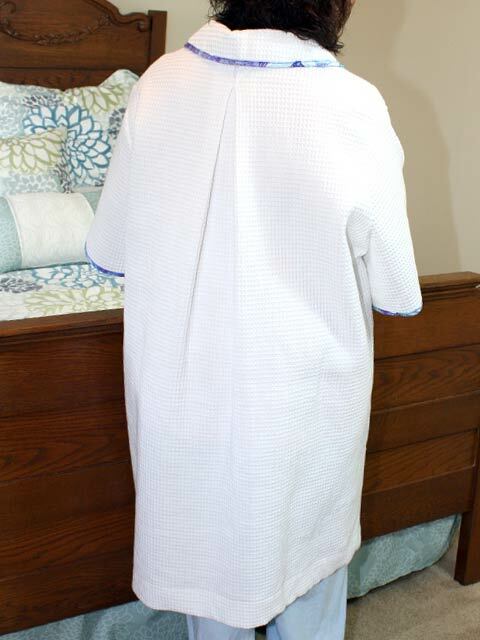 Inspired by the demand for patient privacy, modesty, and dignity, the Hope Collection offers a compassionate option specifically for medically related uses. 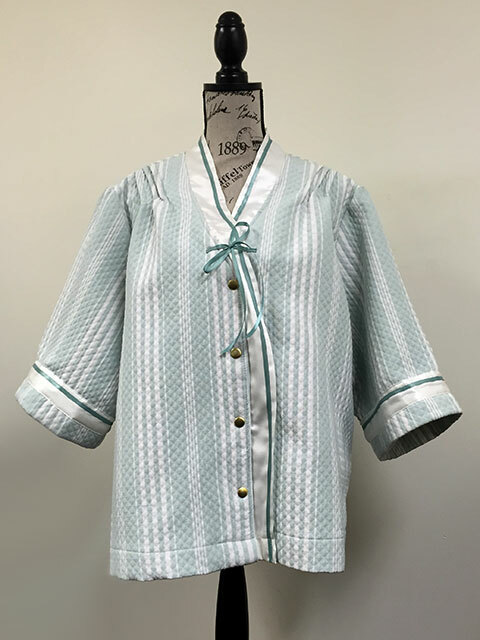 Hope robes and bed jackets fuse mood-lifting fashion with sensible accommodation for medical devices, testing, and patient care. 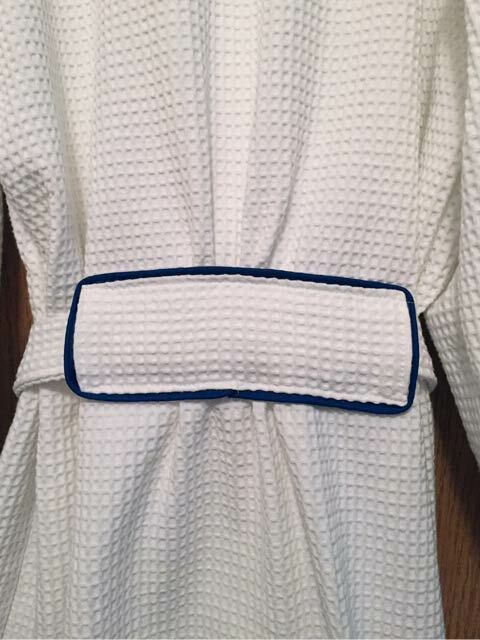 Looking for something to cover unsightly devices while receiving vistors throughout your recovery process? 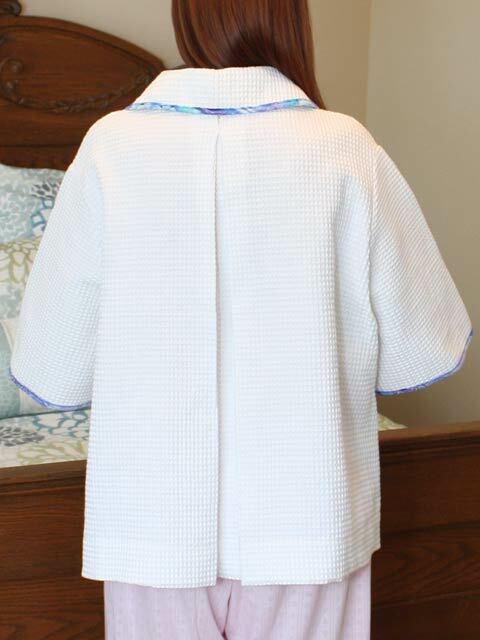 Proudly wear this bed jacket which features easy front snap closure, adjustable sleeve tightness, and a pleated back for ease of movement. 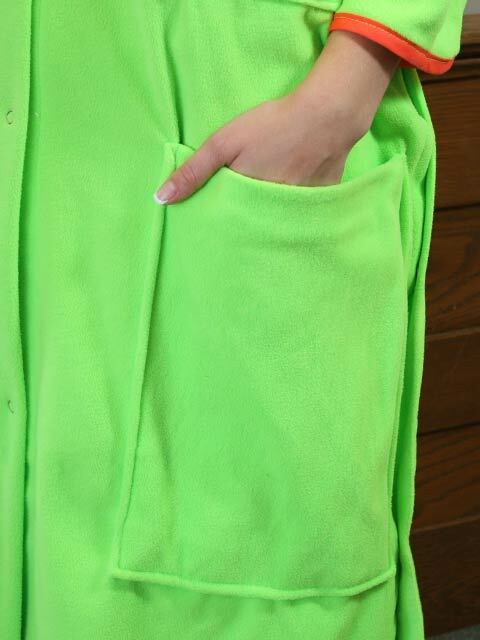 One seam pocket. 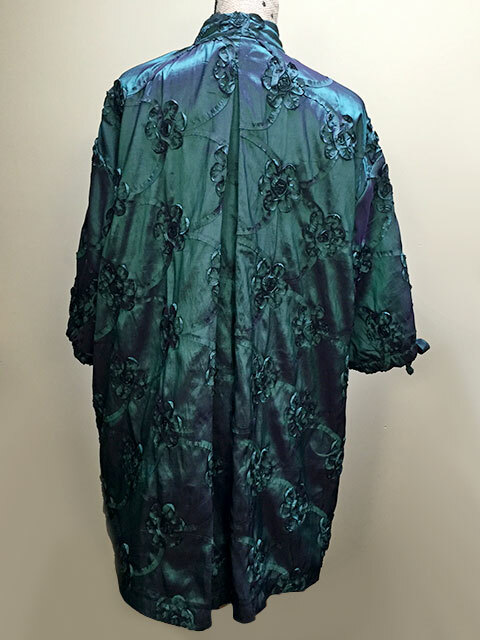 Fabric: Ribbon floral design on "silky" polyester. 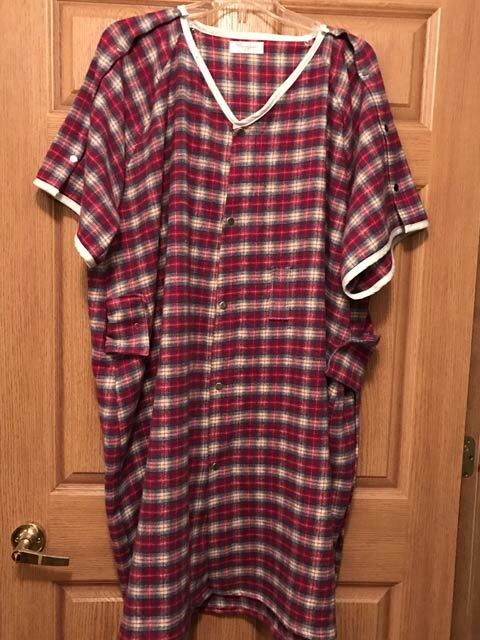 Lined with flannel backed satin. 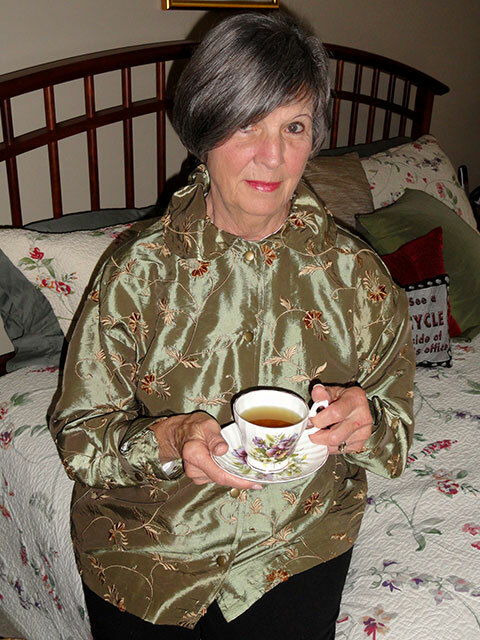 Relax in a retro style bed jacket. 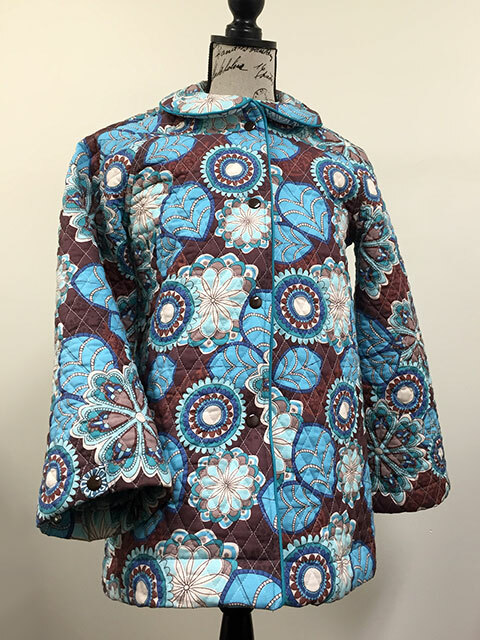 The soft quilted fabric brings a cozy feeling of comfort. 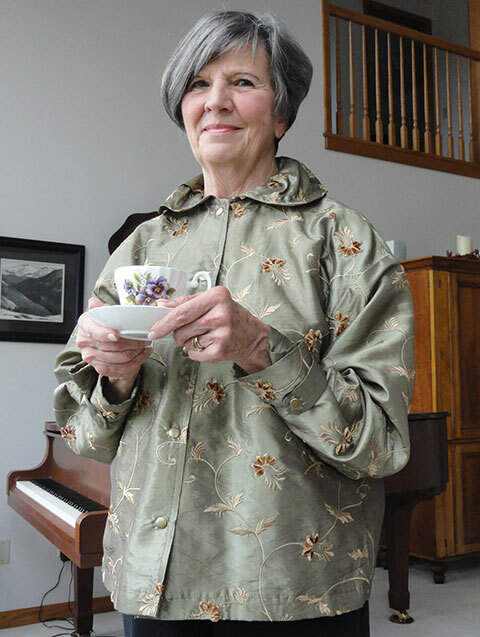 Many loved ones are happy to receive a beautiful bed jacket not only for feeling a sense of beauty while visitors wish you well on your way to recovery, but also to relax in bed or around your home to wrap yourself in comfort. Snaps on sleeves allow tightning around wrist. Patch pockets. 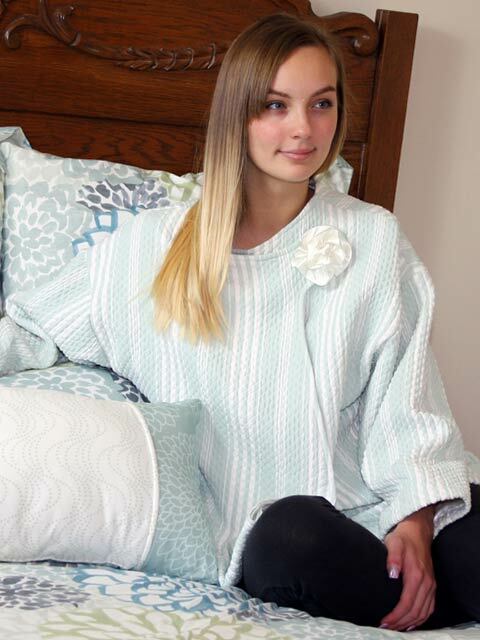 Stylish and warm when reading in bed or relaxing at home. 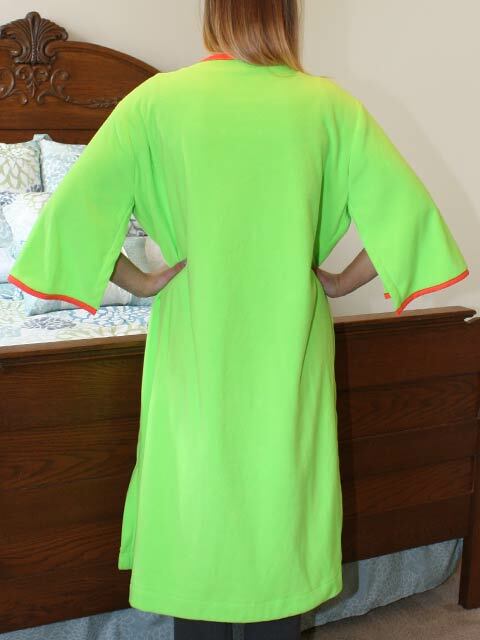 Easy fitting, with two snap closure, loose fit. 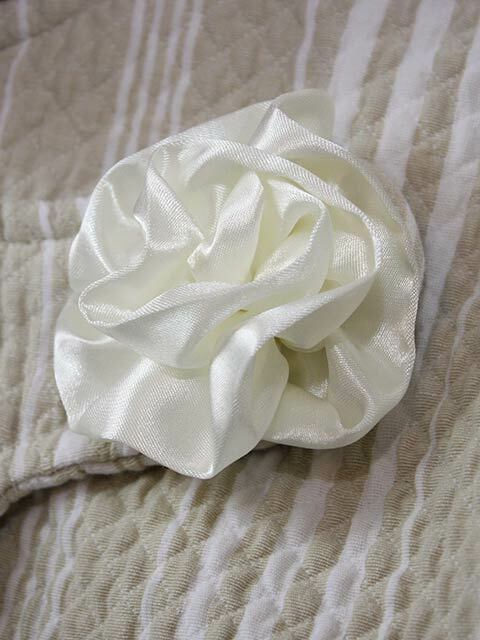 Fabric*: Soft quilted cotton with flannel backed satin lining. 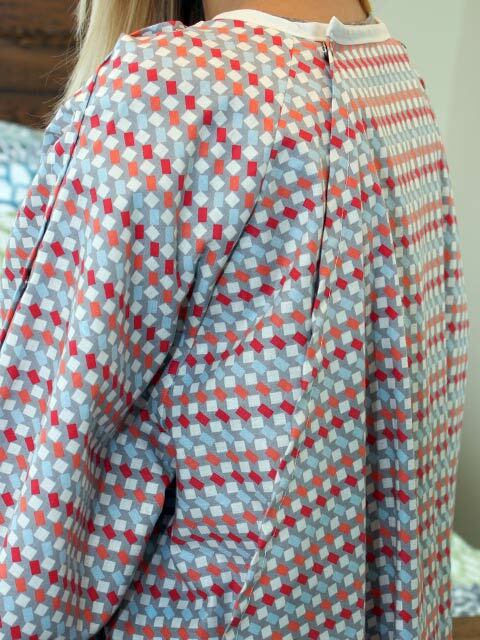 *There's a limited supply of this fabric - once it sells out, we will no longer offer it. 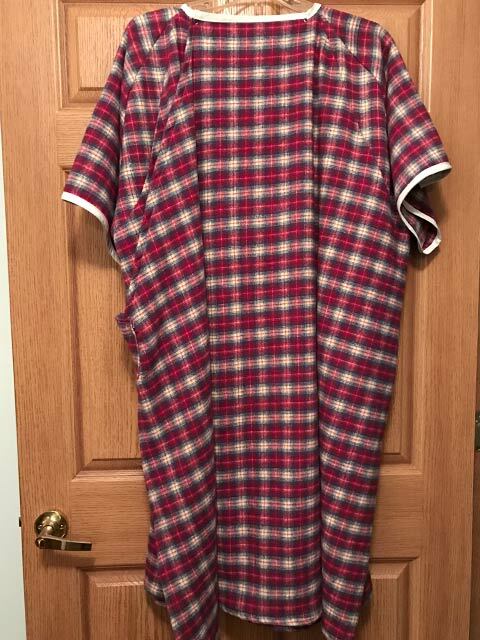 Cozy and warm when reading in bed or relaxing at home. 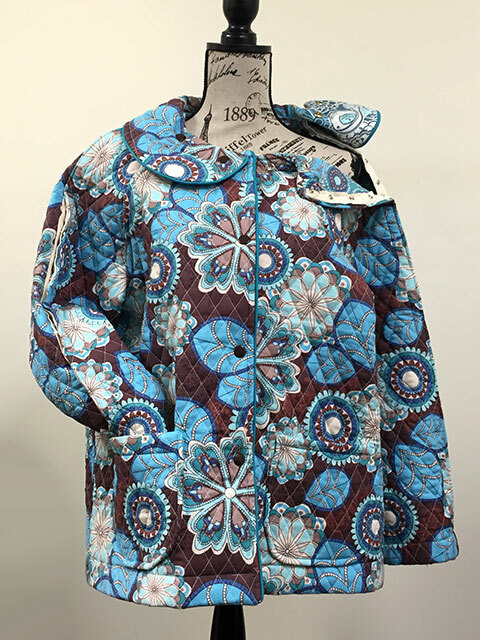 Generous fit with front snap closure and stylish tucks adorn the front and back of this jacket. 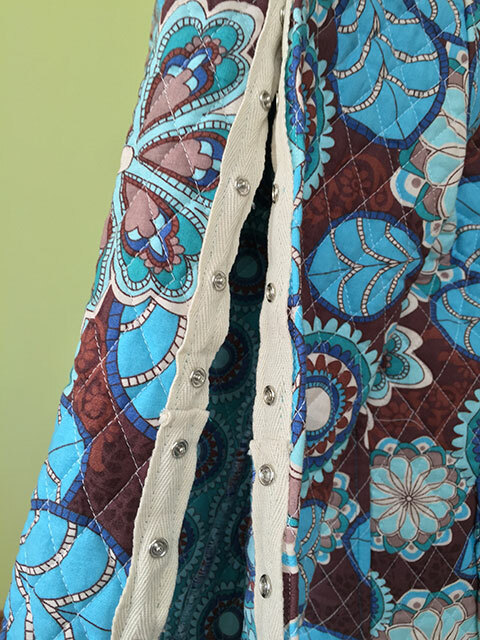 Coordinating ribbon trim add to the embellished features of this jacket. 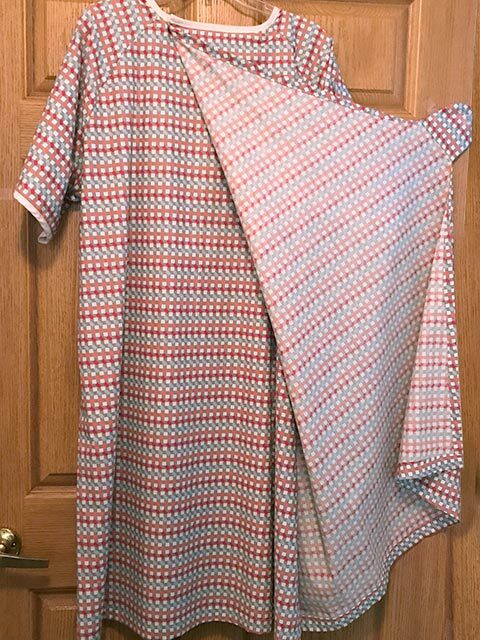 Sleeves are 3/4 length. 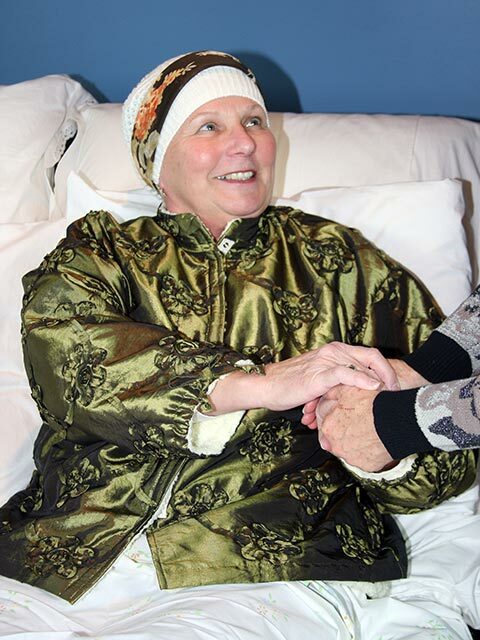 Feel elegant when receiving visitors as you recover from a health issue or simply relaxing at home. 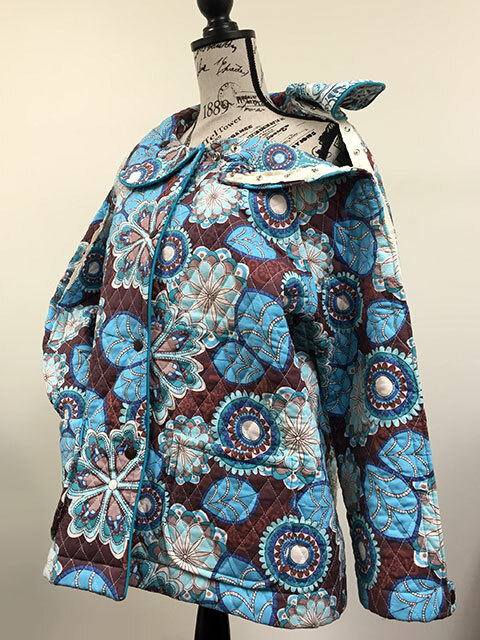 Adjustable sleeve tightness, pleated collar to lay down or stand up to protect neck, and a pleated back are highlighted features of this jacket. Easy snap front closure. 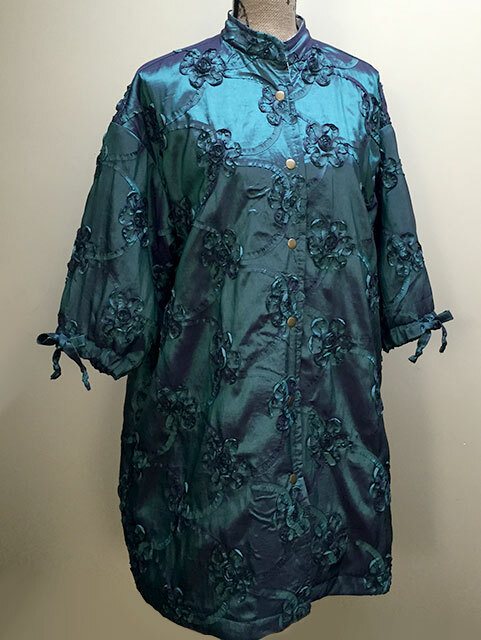 Fabric: Silky polyester with "puffed" embroidery floral design. 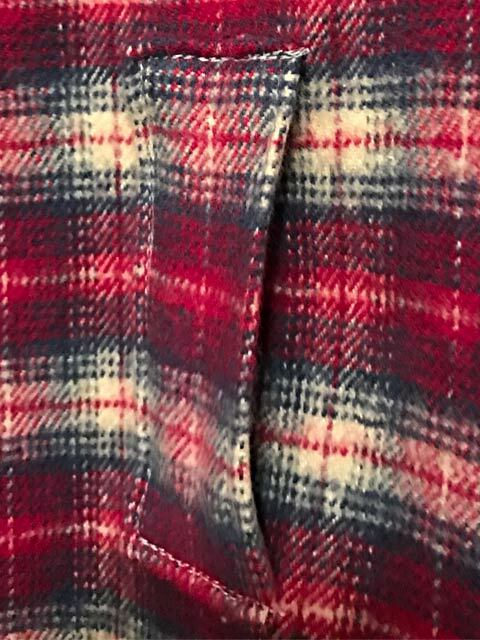 Lined with flannel backed satin. 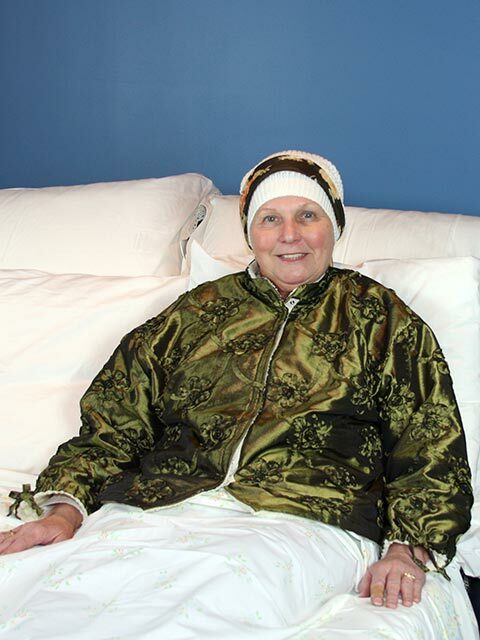 Stylish below the hip jacket offers comfort and secures modesty while waiting for a clinical procedure. Call 260-433-4938 or email for high quantity pricing. Improve your HCAHPS score. 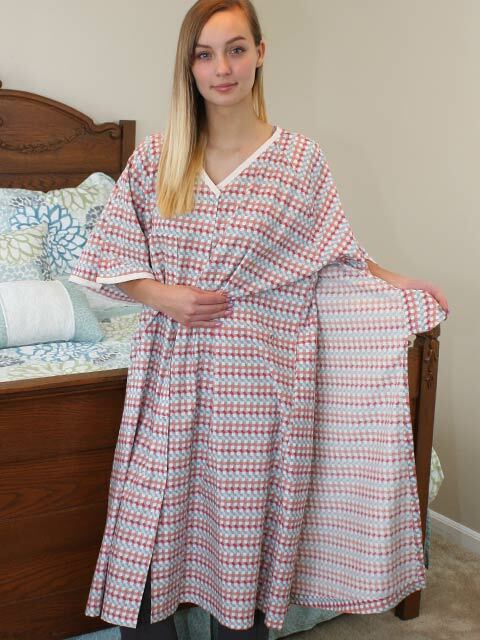 Preserving dignity, privacy and convenience highlight this patient wrap gown, with superior quality and style. 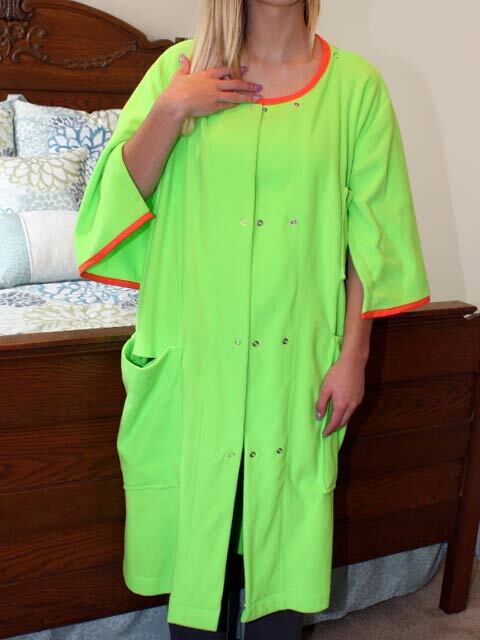 Eliminate multiple SKUs with this multi-funtional gown. 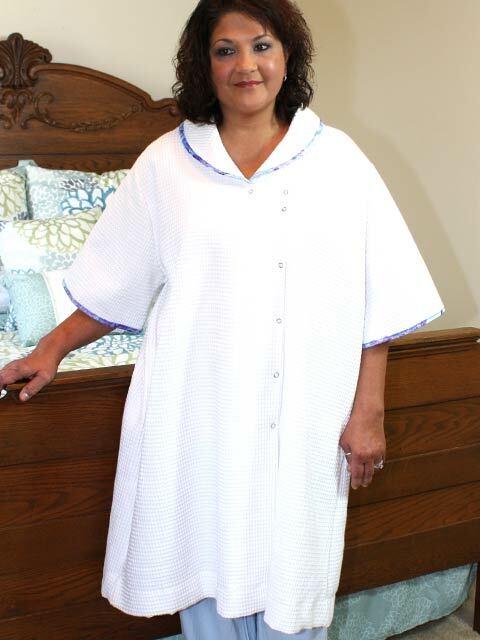 Soft and cozy comfort while preserving patient dignity, privacy and copnvenience highlight this patient gown. 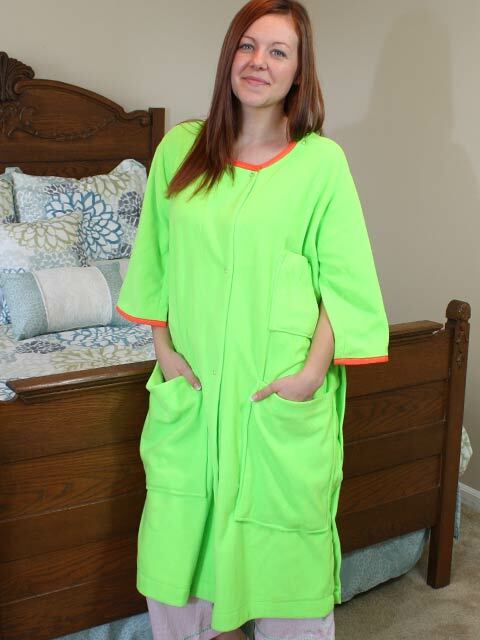 Teens love the fun look to the generous fun pockets for Itunes device, mobile bladder bags and IV solutions. 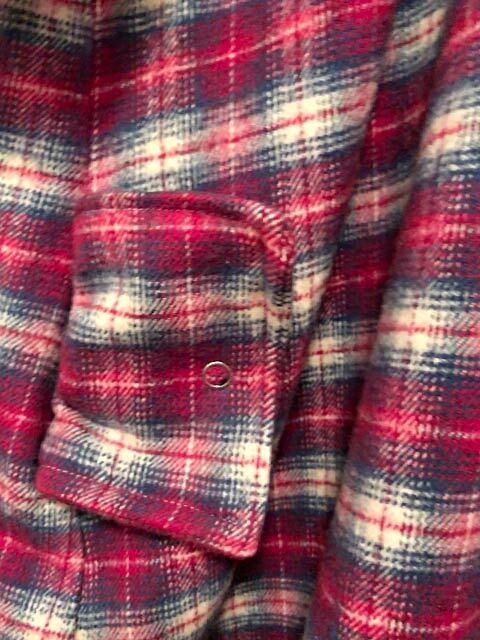 Fabric: Soft flannel. 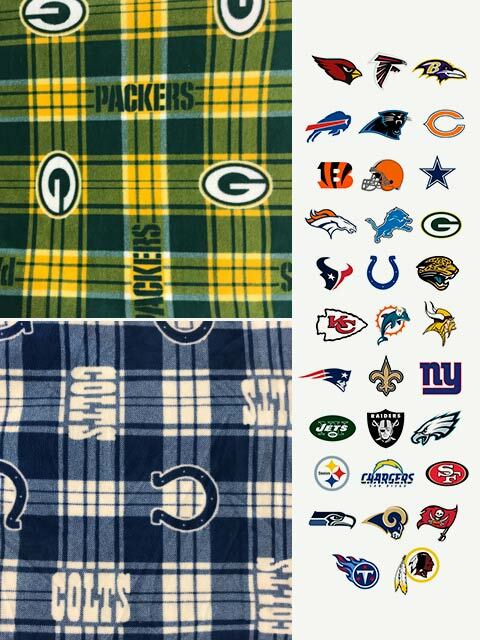 See available plaids and prints. Improve your HCAHPS score. 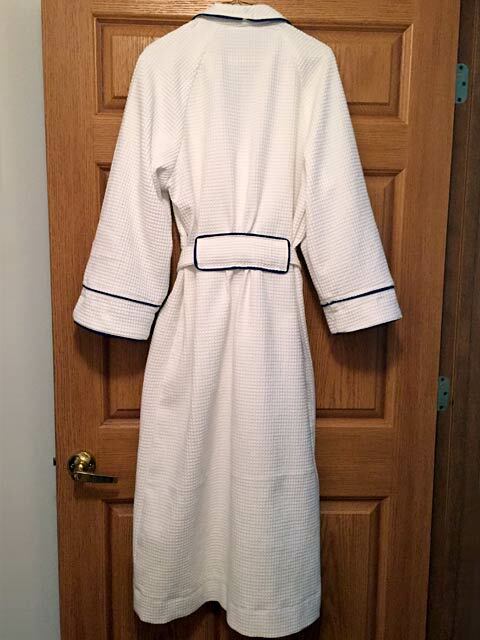 Boutique styling offers dignity, privacy and style to this patient gown. 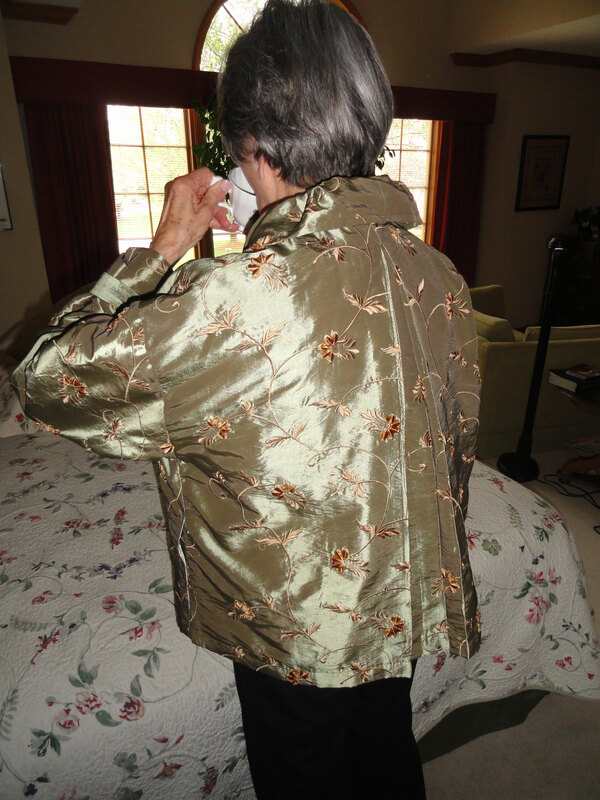 This style functions great for one day stays, non-emergency treatments or long-term nursing care facilities as well as hospice. 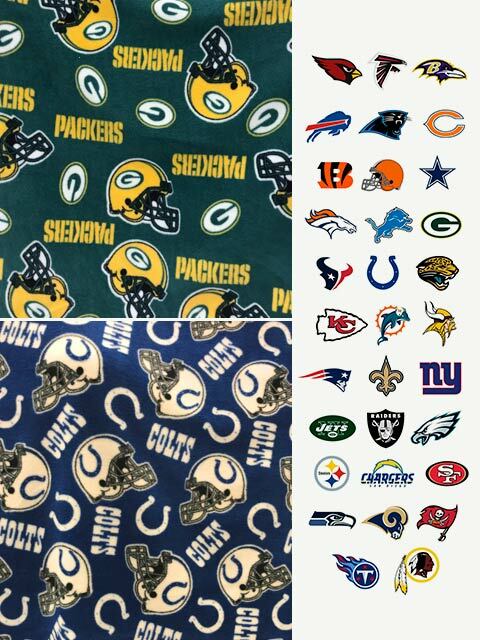 Call 260-433-4938 or email to specify custom color or custom image match and for high quantity pricing. 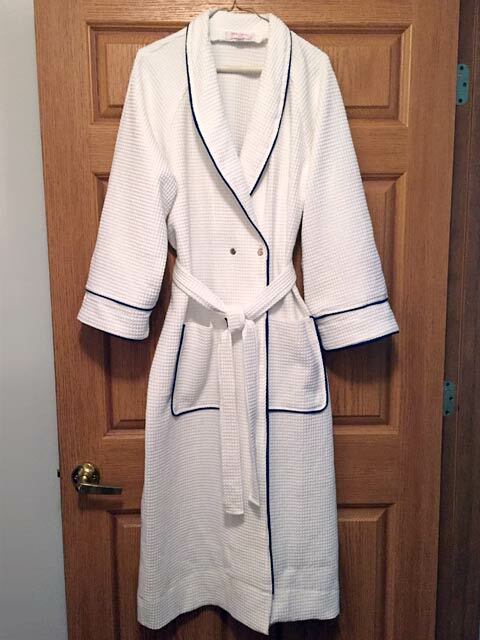 Beautiful styling and comfort conveniences come together with this beautiful robe. 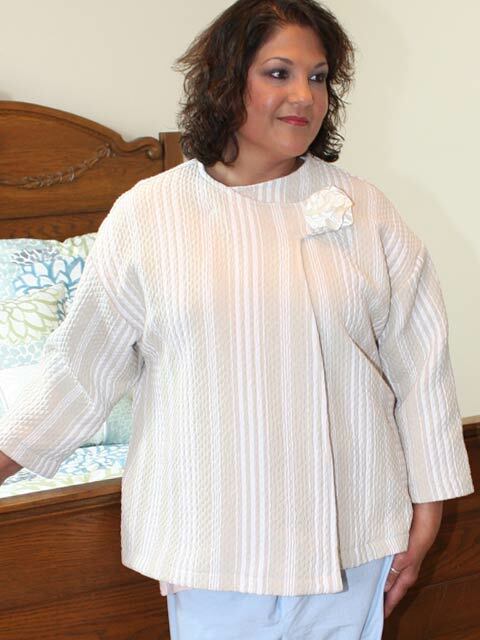 The 3/4 length sleeves can be worn loose or draw close for a cozy feeling. 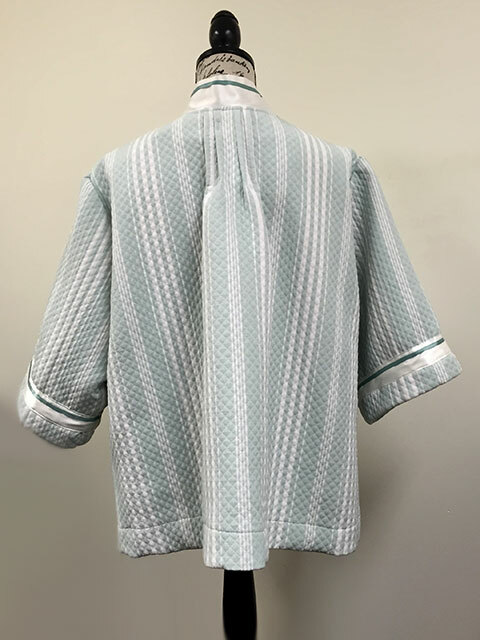 A pleat in the back offers great freedom of movement.